​Customize any massage! Add-on list at bottom of page... Couples option available for any massage within same time frame. 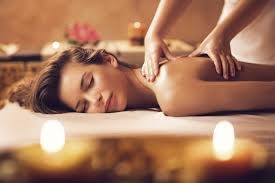 Deep Tissue Massage-This massage incorporates swedish techniques with a little bit more focus on problematic areas, delving a little deeper into the muscle tissue. Prenatal Massage-This is a wonderful massage treat for all you mothers to be. We offer side-lying positions that support both you and the baby while the therapist can work on any achy spots that love to correlate with pregnancies. Zenergy Massage -A relaxing swedish massage infused with Reiki to help balance the energy pathways of your body. A treat for the mind, body and spirit! Chocolate Decadence Massage​- If you love the scent of chocolate this is the way to go. All the benefits of a swedish massage with chocolate scrubs on the hands and feet, followed by a chocolate balm and topped off with our hot towel treatment... you will be in chocolate bliss!